In FIFA 19 The Journey, you'll play as three character - Danny, Kim and Alex. Each of these characters has their own set of objectives to complete during each chapter of the campaign. At times, these objectives will be hidden for a while, until certain progress in the story has been made. 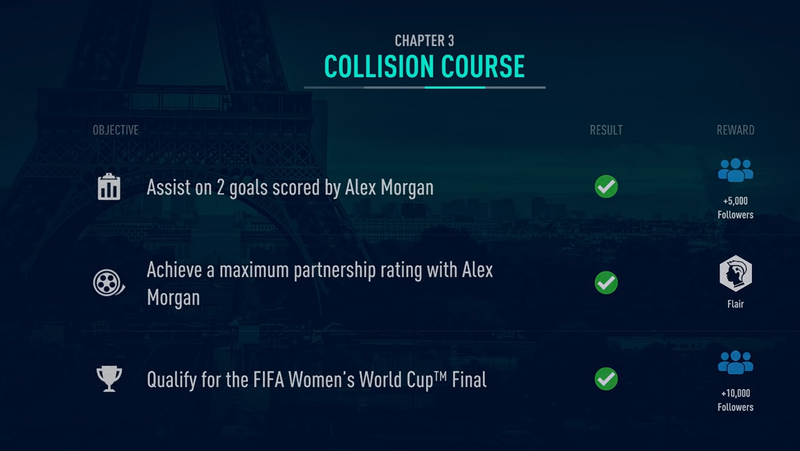 In this FIFA 19 The Journey Hidden Objectives, we'll list all of the hidden objectives for Alex, Kim, and Danny for each chapter of FIFA 19 The Journey. We'll show you what the rewards are for each Hidden Objective, and cover chapters one through four. 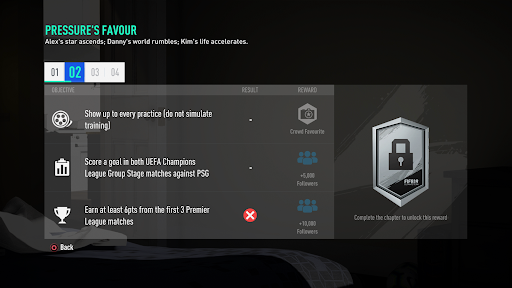 For more on FIFA 19, be sure to check out our FIFA 19 Guides Hub. It’s got info on a whole bunch of aspects of FIFA 19 including Best Young Players, FUT 19 Guides, and more. NOTE: If you read on you'll inevitably see spoilers for the story. 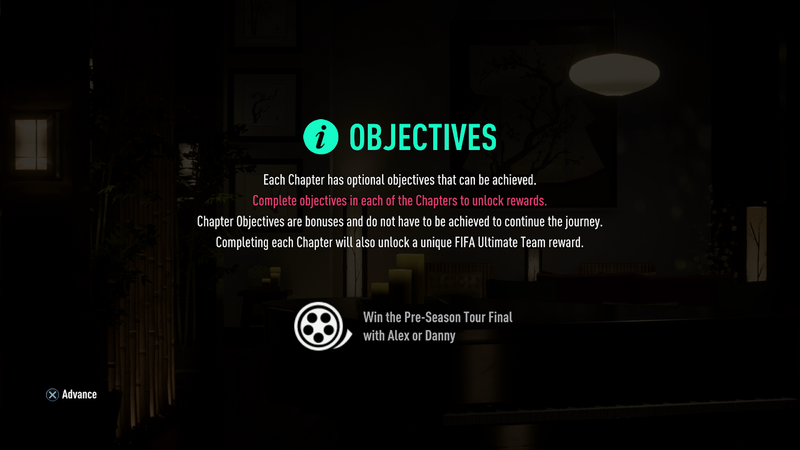 For now we only cover the Objectives and Hidden Objectives for chapters 1 and 2 of the Journey: Champions. 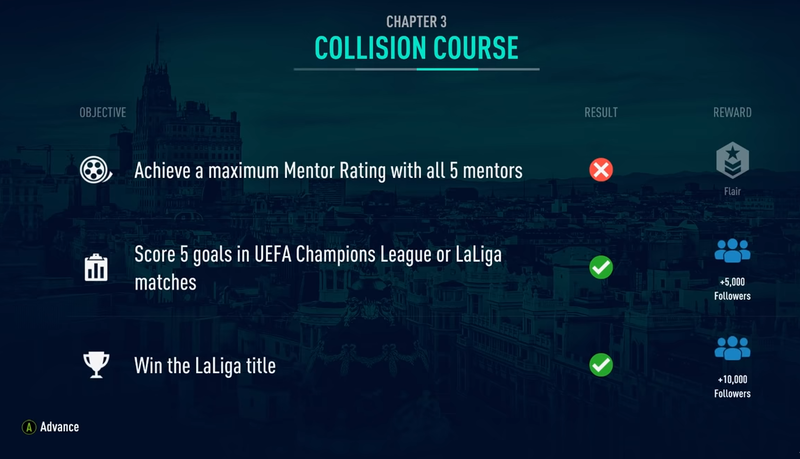 We will update this guide with the Hidden Objectives for chapter 3 and 4 as well, once we've had more time to play the game. 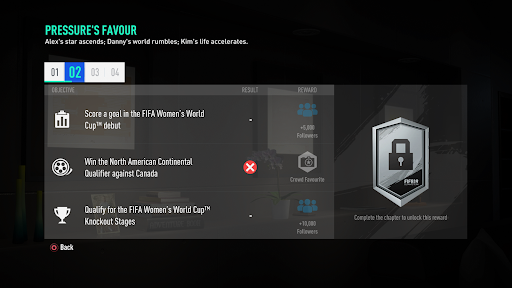 FIFA 19 The Journey plays out over four chapters, in which Alex, Kim and Danny each gets their own story. 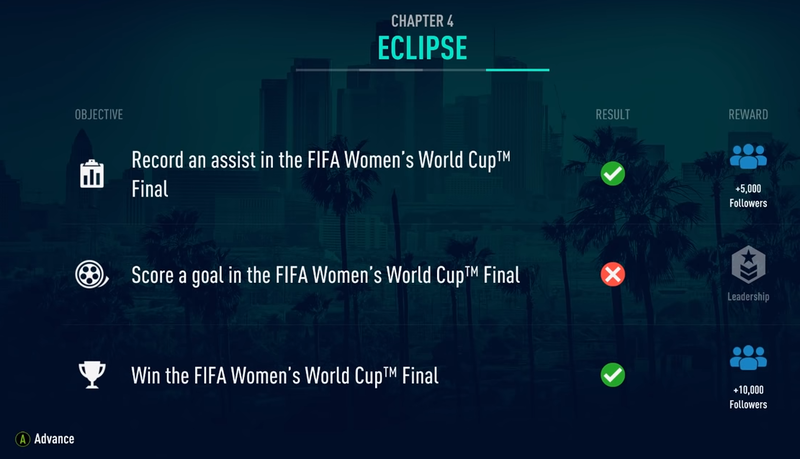 For each of these chapters, there are objectives to complete for all three characters. Problem is, they're often hidden until near the end, so not to spoil the story. Luckily for you though, we've played through the whole thing and have listed all of the objectives for all three characters below. We've broken them up by chapter, and than again by character. 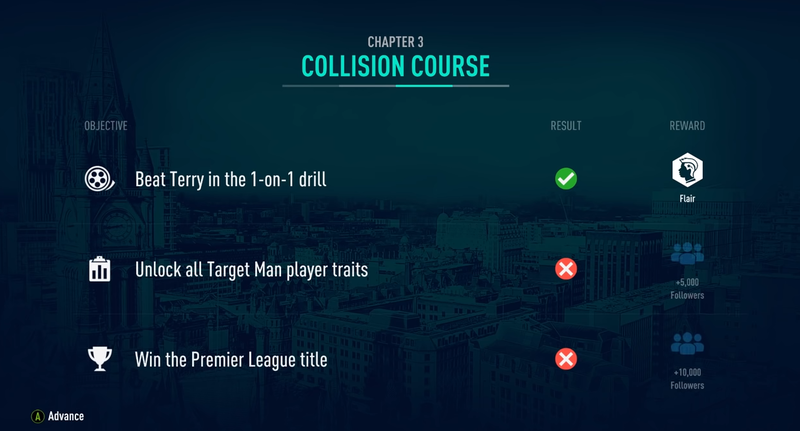 Chapter one of FIFA 19 The Journey features objectives for Alex, Kim and Danny. They’re pretty straightforward, so let’s take a look. 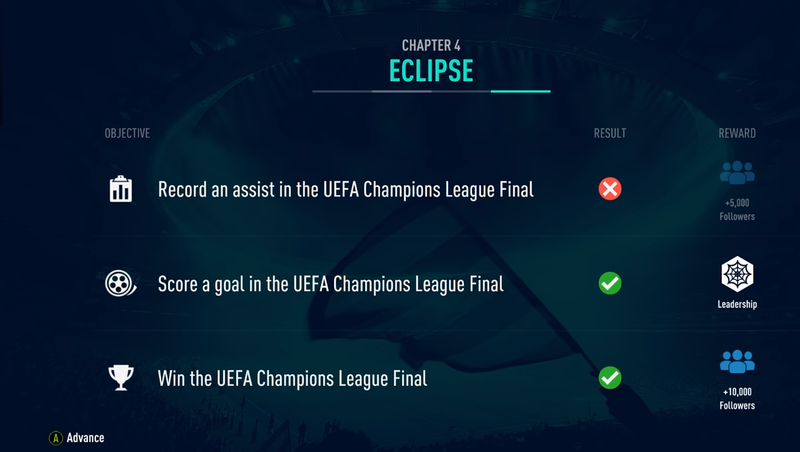 Chapter One of FIFA 19 The Journey Champions blends objectives for Alex, Kim and Danny. They aim to get you settled in, and are pretty easy to complete. 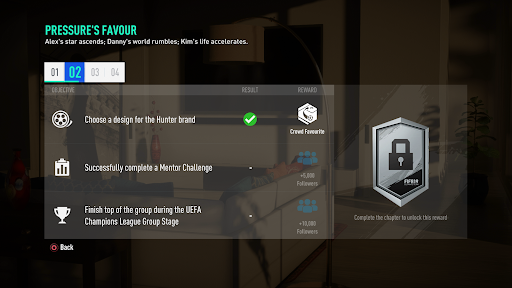 Chapter 2 of FIFA 19 The Journey Objectives split for each character. They range from scoring goals to completing mentor challenges. Let’s take a look. And now for the final chapter. 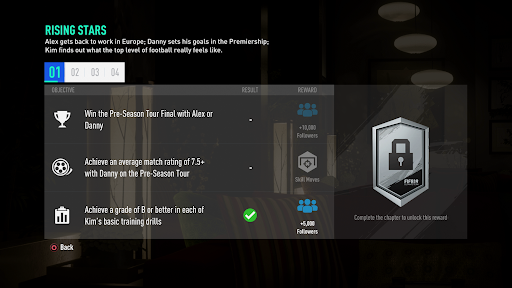 Here are the hidden objectives for Kim, Alex and Danny in FIFA 19 The Journey. It's sure been a ride!